In most other countries, the definition of Criminal Contempt of Court is limited to anything that threatens to be a clear and present danger to the administration of justice. This business of “scandalising” and “lowering the authority” of the court is an absurd, dangerous form of censorship and an insult to our collective intelligence. I suggest you read the full story as she writes in a clear and as usual sharp language how the judiciary has grown to such a position even to sent anyone asking tough questions to jail. Its your chance to be a prt of this campaign by signing the petition. pass it on to your friends as well. in demanding an end to handcuffs on technology and culture. Join orkut community Defective By Design and invite your friends. ??? ??????????? ???????????????. ??????????? ???????????????? ????????? ?????? ???????? ? ?????? ????????????. ???????? ??????????? ?? ???????????? ????????????? ?????????????????? ??? ????????????? ??? ??????????????????????? ???????????????. ?????????????? ????? ???????? ?????? ?????????? ??????? ???????? ??????? ??????????????? ????????????? ???? ????? ??? ??????? ????????????? ??????????. 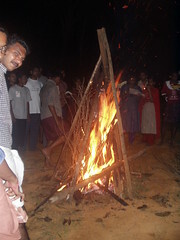 Kiren SK wrote in his blog about our Vythiri Camp experience …. It was really a great chance to attend the National Service Scheme Camp organised at Vuthri by the juniors. Making the arena for another get together with the juniors who were always the embodiment of grt friendship. We spent two days in the NSS special camp on Dec 3 and 4. The second day we climbed the Chembara peak (2nd highest peak in Kerala). The last day of foss.in I ran to catch bus to Vythiri just after the closing key note and Rock show began. We had not booked tickets so we decided to try our luck with seats. (Even on Friday morning we were not sure to go, but after a phone call from Prashob and MP in the morning I decided we are going). Luckily we got seats thanks to a confusion (Two guys booked a seat for the third guy in the back and the third guy booked two seats in the front !! So three of us, me, Kiren SK and Rakesh sat comfortably). Last time we had the responsibilty to make the camp happen. So this time and the first time I enjoyed without any tension. We had taken up reconstruction of a road. It was beneficial to about 25 families. The road was about 2 km long. We joined the team and started for the worksite. They showed us the results of many days hard work with enthusiasm and satisfaction. It gives you a lot of satiafaction when you know that you have made a difference to somebody’s life. Even to go to a hospital they had no transport available as the road was not motorable. Now they can avail transport. The people there prepared tapioca snacks for us. After the work we had bath in the river near by. Then we had delicious lunch. After the hardowork the luch always is very tasty. We missed Kunchiramettan – he used to cook for all the camps, he could not come this time because he was not feeling well. He used to tell us the experiences of the previous camps. He was there at the time of Rajan [He was a student of REC Calicut and was (believed to be ) murdered by Police during the days of Emergency ]. Even now people know REC (now NIT) as Rajan’s college. We have our cultural festival Ragam named after him. Last time he told us about his experience with Rajan. Rajan was good actor and he was coming back from a perfomance with Kunchiramettan when poilice caught him. To juniors you missed Kunchiramettan this time. We were preparing for the Camp Fire after lunch. The campfire is for my third time and it was wonderful each time. It was filled with Folk songs (original – by the camp members and other popular numbers) and film songs. After the campfire there was camp evaluation. Hey folks you did a wonderful job. Congratulations. There has to be suggestions for better camp next time. It is very necessary, otherwise you would feel complacent. Every time you should think how to make the next one better. We also gone through this phase. Take the suggestions to make the next camp even a better one. We were in a confusion whether we should stay for the trekking too. But we decided to go for trekking. 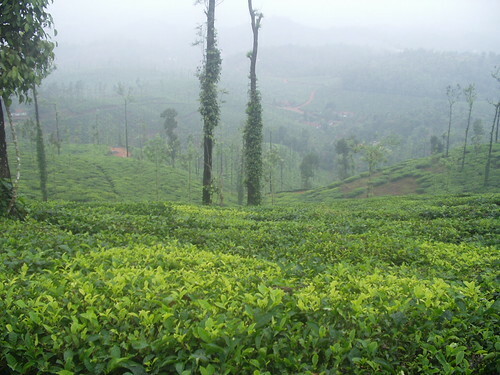 We climbed the Chembara peak, the second highest peak after Anamudi. It was a wonderful experience [Still the wound I got from a leech bite not cured 🙁 ]. We left the campsite by 9 and reached the top by 11.30. I’ll update the trekking photos after I’m back from X mass holidays. Merry Christmass and Happy New Year to all. The members of the “Bloggers of Bangalore” community would like to bring to the attention of the media and society at large, certain unfair and intimidatory actions undertaken by the Indian Institute of Planning and Management (IIPM) against members of the Indian blogging community. In June 2005, JAM, a popular youth magazine published out of Mumbai, ran a story on IIPM titled ‘The Truth about IIPM’s Tall Claims” pointing out blatant exaggerations in the institute’s claims about infrastructure, courses, affiliations and placements. For instance, the magazine article pointed out how IIPM continues to use certain rankings conferred upon it AFTER those rankings have been withdrawn by the bodies conferring them. The magazine ran an ethically researched investigative story on IIPM, revealing what was a marketing fraud by the college. 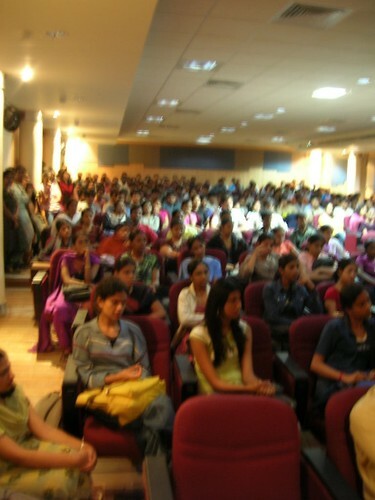 One weeks back (24th September) I talked at BMS College of Enginering of Free and Open Source Software. Dilip and Thejesh Already wrote about it (I was kinda lazy to write). Now we are trying to improve ourselves so that we can have a better impact on the audience. It was our alpha edition and so it had many bugs, we didn’t have any idea what to expect. But I think this experience gave us a better picture and will help us (hopefully) in our next ventures. I had called for a BoF last Sunday at Woody’s Restaurant Jayanagar. Thejesh picked me up near BTM water tank and we reached Woody’s by about 2.50pm. First one we met ther was Kanti from Nagpur and working with Oracle (he was the only one with a laptop). Surjo couldn’t come because he had some other engagemnet at home. So we waited outside for some more guys to join. 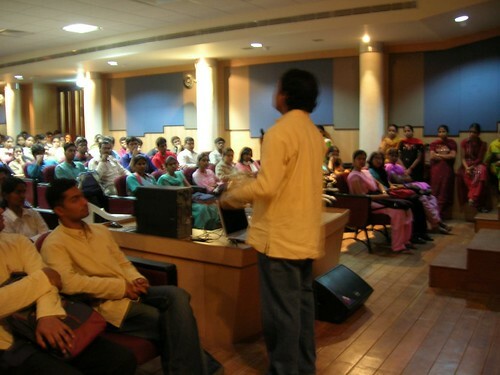 Then Abhishek from Hyderabad and working with Novell came and the fifth one was Lakshmi Narayan Kamat. 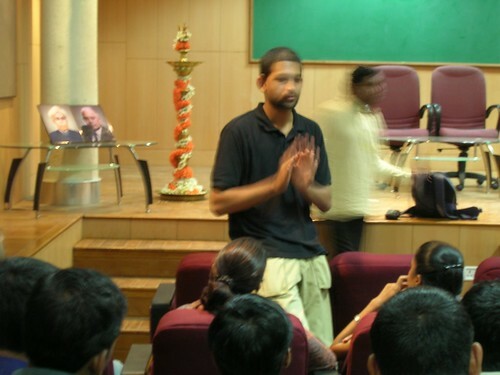 We moved in and started the session with a bried intro and agenda of the meet. Gopal V (dotGNU hacker working with Yahoo and he is from Ernakulam) and Yathiraj joined us to make the count to 7. 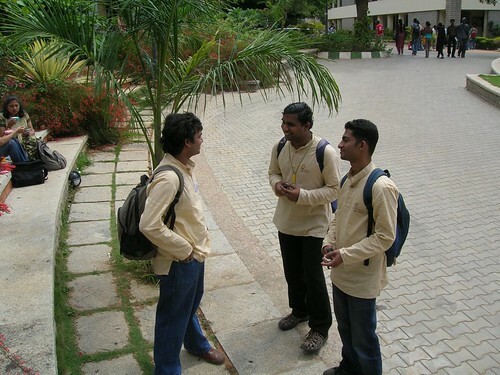 Only Gopal and Abhishek were the regular BoF guys and the rest of us had the frst BoF (It was third FOSS meeting for me in Bangalore the first one being Debian Developers Conference and the second one Blug meet. Also I went to Belgaum for VTU Floss Campaign). Read this and comeback here.